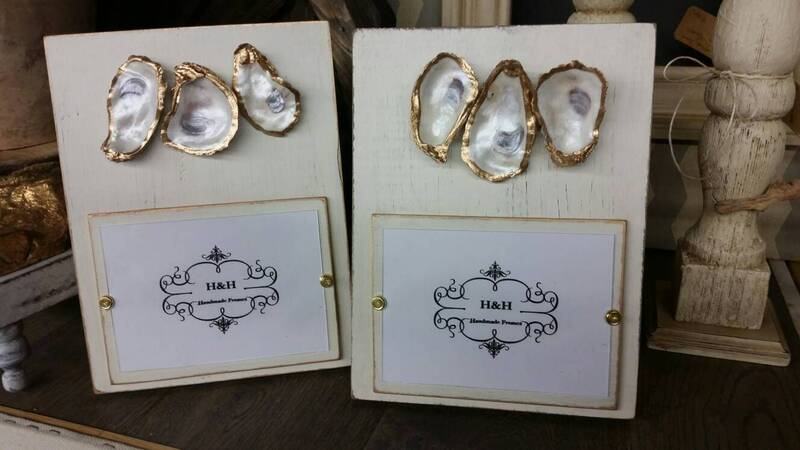 Finish color - Distressed Old White with gold leaf on sides of wood. 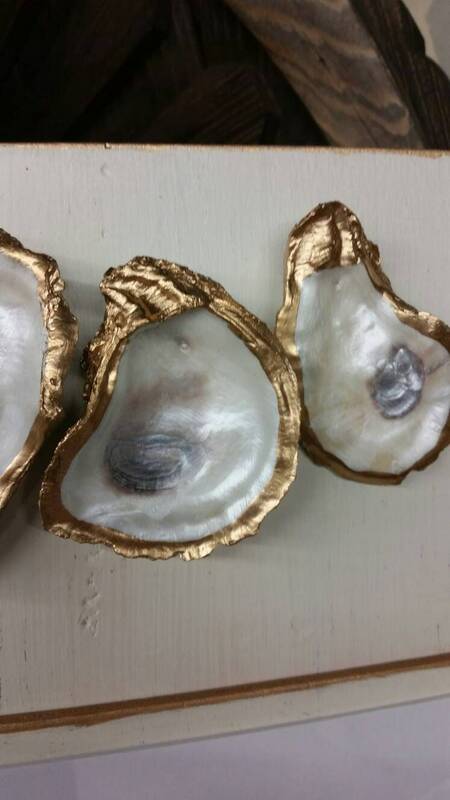 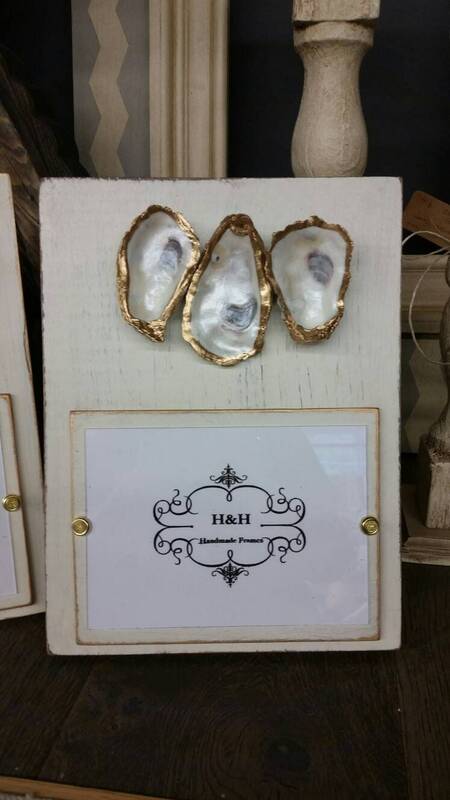 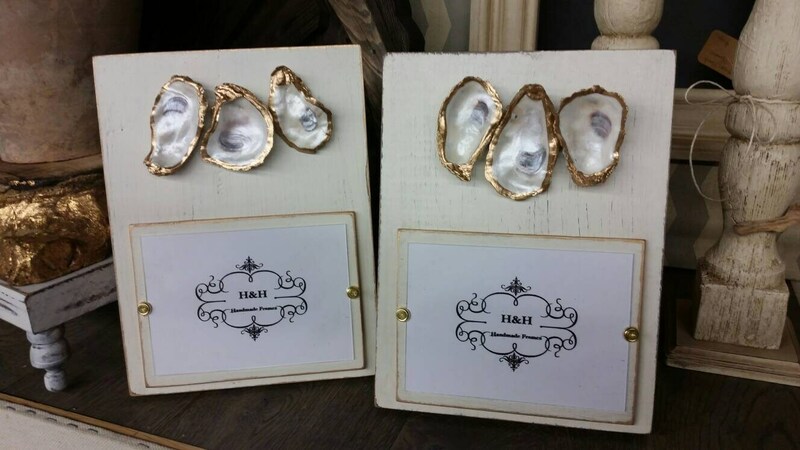 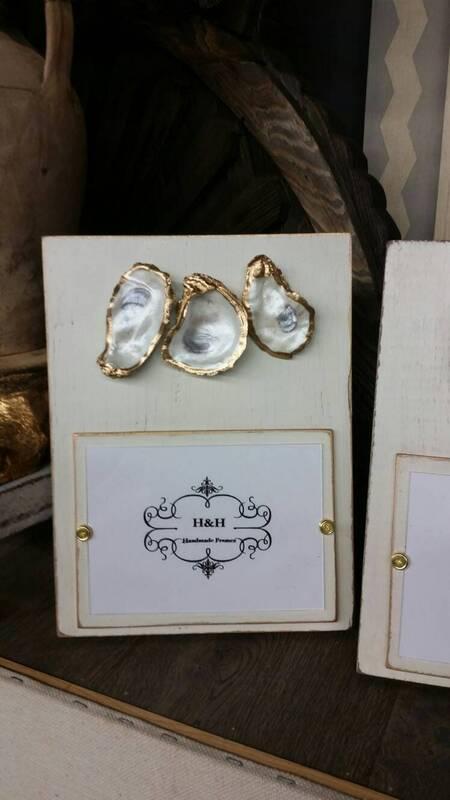 With a three real oyster shells that have been pearlized and accented with gold leaf along its edge and sealed. 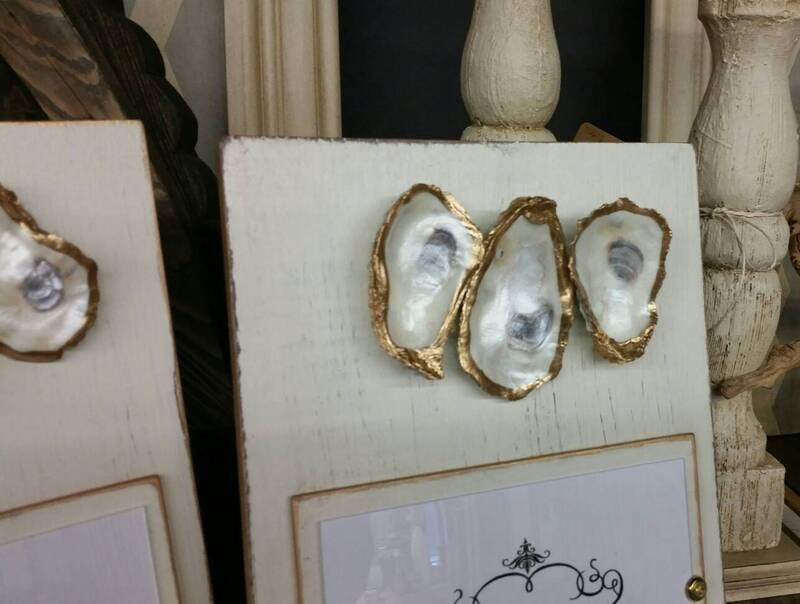 Metal washers and screws holds the picture cover in place simply loosen and slide you photo in.